Who's Next ?? Bill Goldberg joined IYH to talk about his new line of t-shirts "spear this". Also Goldberg and the crew discuss WCW, WWE, Pride, UFC, Santa's Slay, The Spear, Eric Bischoff, Scott Steiner, the Power Plant, the NFL and Jack offers Bill two jobs with IYH ?!? All this and so much more !!! So what are you waiting for ? Listen now, and go buy some shirts at http://www.billgoldberg.com !!! 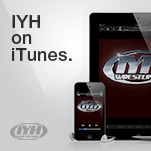 And make sure to tell em IYH sent ya !! 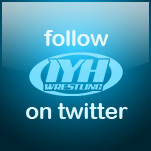 Join Jack from IYH, and Rick from www.radiohaven.net following the TNA debut show on Spike TV. We will be live for an hour discussing the show, and taking your call ins to tell everyone what you thought of the debut show. 508-644-8503 (long distance charges may apply). "One day, when the book is written about professional wrestling, historians and scholars might look back at October 1, 2005 as the begining of a new era, on the level of the first Nitro, the birth of the nWo, and the first Austin-McMahon match. Call into the show and be part of this landmark occasion! " Tony Atlas was our big guest this week. Tony joined us for a chat in the middle of his famous pork chop dinner. We talked about Ox Baker, toughness of wrestling, body building, hard road schedules, Jack's Grandmother's fried chicken and so much more. In an entertaining edition of IYH that only the Crew of Jack, Barbie and OIB could deliver. The Boogie Woogie Man Jimmy Valiant was our guest this evening. Boogie addressed the rumors he may be leaving with Baby Doll on his arm. He talked about his 40 plus years in the business, and his upcoming autobiography. We also duiscussed IYH legend Ox Baker, music in wrestling, Jimmy's wrestling Camp, territories, his beard, Paul Jones, Memphis, NWA and so much more. So what are you waiting for ? Listen now !! And see Boogie Woogie Man as the special ref in the big Dusty Rhodes vs Tully Blanchard main event at A Tribute To Starrcade November 19th in Spartanburg, SC. 753 items in this category.